"One week after the training I am averaging 13 minutes first thing in the morning. Blood pressure down and feel more focused (and a bit more relaxed at work handling the stress). I plan on continuing this for as long as I can. The class was great - so were you and your teaching methods. I will be talking to others about this. I look at this very positively." "I am committed to this and happy I am finally practicing meditation. Thank you again, we enjoyed your classes very much." "I'm enjoying it! 15 minute a day so far.. does not seem too long.. I will keep doing it ...I think it translate in to being more focused during the day..I'm really happy I signed up for it." "I really enjoyed the meditation workshop that Gary Halperin conducted. He is a very good instructor and I liked his style. He made me feel very relaxed as I was a little anxious or nervous at first , but really made me comfortable. As for the class, I got a lot out of it." "I have been meditating now every day for the past week or so and actually really look forward to starting my day this way." "I thought that the workshop was great. Gary did just what he was supposed to do… taught me how to meditate and to commit to making it a part of my life forever. I loved it and I am so thankful that I took his class." "I have to tell you another thing that's happened since I started meditation. I used to, almost every day, have a racing feeling in my heart when I would go to bed, or shortly before going to bed. 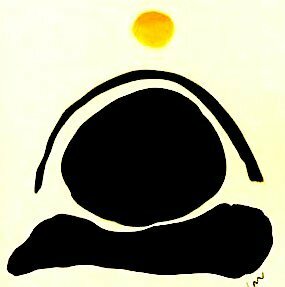 That sensation/experience has completed disappeared from the very first day I started meditating. I attribute it to my meditation practice!" "Working on 2 of my friends to sign up for your class. I really enjoyed your teaching and relaxed style." "Thanks you for getting me started on meditation again. I had done a course and some practice years ago, but needed a new impetus to begin again." "I wanted to let you know I have been meditating every morning and it has been easy for me. This morning I tried not leaning against the wall and that felt more comfortable. And I feel good after. I honestly don’t know why, but I’m enjoying it. Thank you, Gary. I’ve taken a different class and read some books on meditation, but this has worked better for me so far." "So far, so good with meditating every morning. I’ve been doing it within 15-20 minutes of awakening; that seems to be working for me at this point. Surprisingly to me, the 15 minutes goes by pretty quickly. Thank you for providing this opportunity for learning what I know is a beneficial life skill." "The meditation class has been very helpful for me. I have been able to incorporate it into my daily routine and have only missed a few times in the 2 months since the class. I liked the class very much and found it necessary to begin meditating." "Hiring Gary for our community meditation class at Cityside Apartments was the best decision ever. We have a mix of fitness classes but had a real need of something like this. Our residents just love Gary and his knowledge and practice of meditation. You always leave feeling so relaxed. Gary is always on time and professional. I would recommend his class for anyone looking to add meditation to their daily life." I am still meditating! The 15 minute time still seems very doable to me. I feel like the meditation practice is setting the stage for self healing. Thank you for a very positive, judgement free introduction to meditation. Really, trying to do it myself was never going to give me the push I needed toward commitment to meditation practice. "So far I have managed to meditate every day since I took your workshop. During the week, when my mornings are busier, I’ve been doing about twelve minutes, and on the weekend I’ve been doing the full fifteen minutes. I’m usually a bit startled when I hear the chimes of my alarm, because the time goes by quicker than I expect. I had been concerned about trying to fit another thing into my busy mornings, but so far I have managed to make the time for it, and it feels good to be committed to the practice — gives me a sense of accomplishment. i actually kind of look forward to it, a little space of time in my day where all I need to do is sit and breathe."